I’m on a perch with an interesting view right now, and this is what can be seen from here. I’m a member of Destructive Influence (DICE) corp, which is led by LadyScarlet. DICE formed at the same time and place as Goonswarm (2005 Syndicate Region), but the history between the two groups extends long before that. By the time the early Something Awful-based corporations were combining to form Goonswarm, LadyScarlet was a veteran diplomat for The Five alliance, a major group in the early years of EVE. The contentious relationship between LadyScarlet and Goons goes back a decade, and is a story for another article. The DICE corp has been around since the beginning of EVE, first as the notable corp Arcane Technologies (ATUK), which reformed into DICE to join a new alliance powerhouse, Band of Brothers (BOB). Three of the five major corps in BOB continue to exist under Northern Coalition (NC): Evolution, DICE, and FinFLeet. As for the remaining two, Reikoku is in Pandemic Legion (PL)., and Black Nova Corp closed in 2011. These five corps led the the opposition to Goonswarm and Red Alliance through the great wars, a bitter time for all of EVE. The Mittani insists that BOB wanted “his people” erased from EVE, and still feels persecuted by them after all these years. When he growls through a “State of the Goonion” speech that NC and PL’s junior alliances, Pandemic Horde and Northern Army, are an existential threat to the Imperium, it is based in historical precedent. An NC and PL attack, plus a thousand subcaps as support, could be the Bat-signal that other nearby alliances like Snuffbox, Tishu, and Shadow Cartel, are waiting for. This kind of war happened all the time – in fact, the Fountain War started this way. Fortunately, no one is interested in all out war right now. Right now, my corp has a unique crossroads of players: Tiberius Stargazer, lead editor at EN24, Lazuli Loto the Northern Army diplomat, Solon101 of skilled blops team Honorable Third Party, and a grand mixture of very seasoned players, all under one of the most powerful CEO’s in EVE: LadyScarlet. She was in control of the largest alliance in EVE, the renters in Northern Associates. It was bigger than the Amarr Empire! DICE comms are full of mature conversations, knowledge transfer and, of course, hazing. Usually directed at me. NC leadership is aware that I am Matterall, and has already put me on notice. One slip up, and Vince throws me out of NC. As much as LadyScarlet favors me, she won’t stop him. On the other hand, I’m locked out of the Imperium, obviously. So when Mittens addresses the Kickstarter closing announcement to the Imperium, on their forums, I am left waiting for a public leak. I knew it was coming, but was surprised when Xander Phoena brought it to my attention. This perch might seem like an advantageous position, but it is really a precarious razor’s edge between old foes. EVE’s first decade was all about steady growth and a solid game plan for CCP, but the reliance on “cool features” created limitations. The excuse of “old code” is used as a catch-all for why parts of the game were broken. Crazy workarounds had to be developed by players, which meant advantages to those that knew how to overcome the mechanics, like shooting your own Territorial Claim Unit to protect it. CCP launched this second decade with a push to rebuild the game. A part of this is trying to help generate conflict by giving players things to fight over, like Customs Offices (POCO), Encounter Surveillance System (ESS) structures, and a revamp of the war declaration and bounty system, but that didn’t help. Players ignored these conflict drivers and instead fought each other for fun, “gudfites,” where FC’s would secretly negotiate the size of battles before hand in order to help fights actually happen. The environment alone was failing to produce conflict. CCP finally took on sov mechanics last year. The end result locked in a subcapital world, where small ships fought over sov, and wormhole travel reigned supreme. Players would have to wait for structures and capital ships to have their turn. In this state of the game, large alliances adapted: NC kicked around Providence, then moved north to find their fun. PL began taking contracts, started a petting zoo full of newbies, and focused on wormhole travel. The Russians evolved their renting and ISK mining techniques, while some conquered C6 wormholes. The Imperium charged into Outer Ring, and repeatedly smacked empty pinatas hoping to get a piece of candy or two. The legacy of subcap goodfites and roaming culture that was hailed as the best way to play EVE a few years back has stalled the epic themes in the game. The absence of large-scale fights was felt as players that had played for years and earned their capital ships were sidelined. Those players had grown up, and had real life take priority. 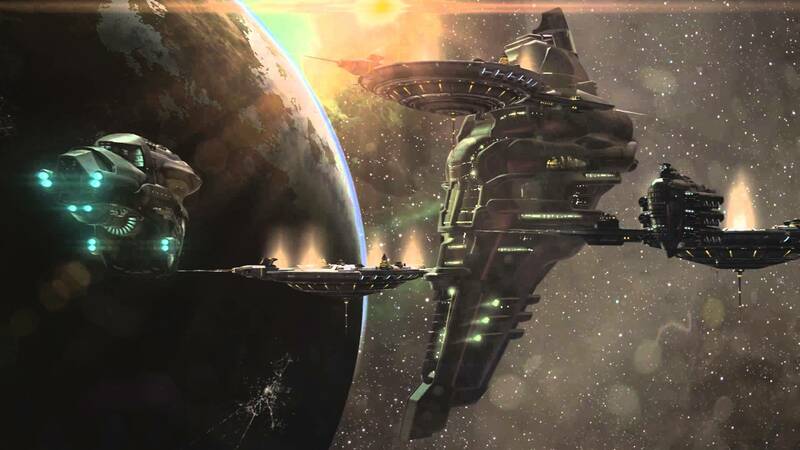 EVE began to be played as a “ping me for fleets” game, where far-jumping capital ships could be brought home if stranded in the middle of a fight. That lifestyle was wrecked by massive jump restrictions and scattered fighting. Now players have to get in the game and stay on the keys, or be lost across the cluster after taking wormholes scouted by others. EVE had become less epic: fights are smaller, less meaningful, harder to narrate. These fights won’t pick up the interest of CNN or BBC, and require more commitment from older players. The additional work put a strain on rewards, and players adopted a mantra. Despite the trillions of ISK sourced from nullsec ratting and moon mining on a regular basis, the idea that “nullsec is not worth it,” gained a foothold in the capsuleer consciousness. Perhaps the “worth” should not be measured in ISK, but peer recognition. It is hard for reporters to report on small fights more often, unless you are Salivan Harddin of EN24, who seems to have battle report elves working for him. Without narratives and meaning, fights become repetitive. Even a small corp vs corp war has meaning, and a story behind it worth exploring. 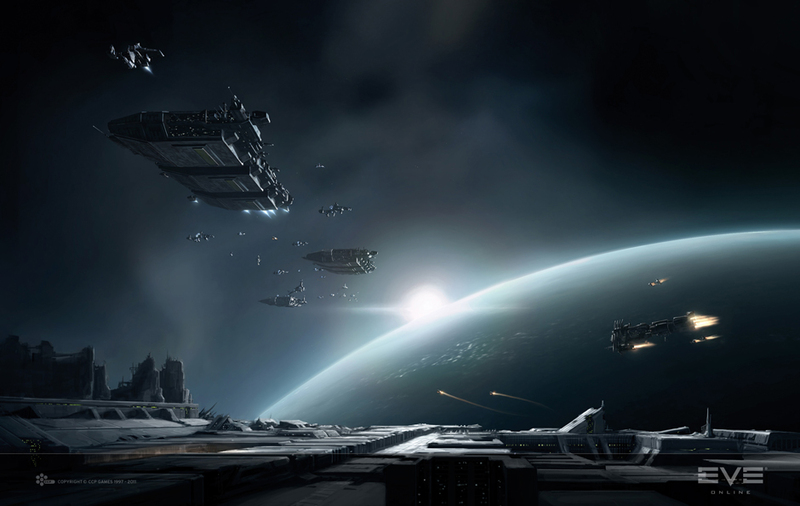 Lacking meaning, all major war plans remain on hold, except for the Imperium, which has shown signs of going on a massive offensive through the recently announced Viceroy system, which is a good test of nullsec’s “major campaign” hearbeat. At EVE Vegas, all the major announcements for null-sec were out – some say this happened before the event, thanks to CSM leaks. The separation of playstyle between subcapitals and capitals will be erased, with lower HP, no immunity to EWAR, a refitting nerf, and the ability to shoot and be hurt by subcapitals. Supercapitals will be made dockable, eliminating the “space coffin” effect, and allowing supercap pilots and players more flexibility in how they play the game. After this was announced, CCP went straight to work. They have since been silent on the issue. In that silence, the Imperium launched a novel idea, pun intended. TMC leaders fused The Mittani’s cult of personality with a book deal which put all the risk on players. That was palatable to most, as long as it was Imperium members taking that risk. And why not? Everyone would get a nice book to buy if they chose, after it was written. But then the money stopped coming in, and the pitchforks came out on both sides. CCP snuck away, hoping people would forget that it sanctioned the idea. TMC got more support from other gaming companies for this EVE project than CCP gave, given that it was not mentioned in CCP newsletters or the o7 show, and scarce if any tweets. It wouldn’t have mattered. CCP’s ability to calm the angry masses was hampered by Mittens and Goonswarm years ago when it attacked CCP for bias, and later, being out of touch. With New Eden still in stasis, the meta-warriors of EVE went to war in public. TMC became a fortress from wherein Sion, content manager for TMC, shot fiery arrows at the wall climbers from r/eve. “Behave you filth!” Before long, Imperium trumpets sounded, and secret messages of support came to his aid. But to those outside TMC, bewilderment that the stoic Imperium leader was taking the role of attack dog, drawing lines between TMC and the non-Imperium readers. Angrier elements objected to Mittens’ raising money, as if he is taking it from the poor reader’s pockets. They forgot that Google is not free, television is not free, and apps are not free. All these “free” things are paid by charging others for access to your eyeballs. This is a meta war in absence of null war, and TMC is Imperium’s fortress. Last week, I was a guest on the Open Comms show. I’ve been a listener since they were on EVE Radio, and followed them to TMC Media. In my visit, as portrayed by my in-game self, I felt like newspaper exec, walking down to the mailroom (if they still exist outside of movies) where the sports writer and UPS guy are playing cards, drinking and talking world politics. There’s a “Henry the Fifth” vibe about it gives me a oxytocin rush when I think of it, but it’s all in my head. In reality, they know more about EVE than their humor and antics portray, and I know less than my writing claims. There I was, being introduced by Dirk as the new TMC “Beirut” Bureau Chief. With my cue up, I tightened my virtual tie and started my proclamations about TMC and values that bored the room to sleep. If you’ve ever screamed in a dream, you know the sound never comes out, it just hits dead space. That’s what it felt like, talking without blinking about who knows what as the string that was pulled winds its way back. The show slowed down because it became an interview. BC wisely broke it up, like a big brother breaks up a his kid sister’s gaze at the new boy, and off it went right back to jokes and laughter. Later, as one viewer took a shot at the show, calling it a “Goon Show,” Dirk, drunk Dirk actually, lit into the viewer. The place erupted into laughter and picked up the pace even more, ending strong. Besides reinforcing that funny and edgy are a better draw than straight information, the secondary lesson was about individualism. Being called a drone – in this case, a bee – is insulting. No bright person wants to be co-opted, branded or labeled as a non-thinking follower, but even those are not what they appear. EVE is full of people that want to be told where to warp, what to target and when to shoot. Are they happy to be drones? No. They just have other priorities, like Netflix on the second monitor. Sweeping labels help people comprehend complexity, but they are seldom completely true. TMC writers and producers are not drone bees. This doesn’t mean that TMC is a place where good writers have strong views about topics, and that might generally favor the Imperium if the writers make it so. Editors are generally concerned with truthfulness and correctness. TMC staff can write for anyone they choose, at any time they choose. There are no quotas to fill, writers can write as much or little as they please. Anyone is welcome to write, from anywhere, about anything, favorable or unfavorable to The Imperium. As long as the writing is good, true, and in context. This is why I’m writing this for Crossing Zebras. That said it’s going to be posted on TMC as well, so that our readers can see it as well. I’m in the odd position of representing a contradiction. Running EVE news for the TMC, while it fully embraces its Imperium community, one that I fight against ingame. If it was an NC guy telling Goons how to be more Goonie, it would be a disaster. Instead this is an easy decision for me. We’re all friends at Fanfest and meetups because we share a common experience. The game is the game, but in the end we’re all smart gamers, maybe too smart. Walking the razor’s edge, taking cover in the TMC fortress, learning how to entertain and inform from people more experiences than I, that’s just fun. This perch won’t last forever, but for now it is a heck of a view. Matterall is the EVE Bureau Chief at TheMittani.com.